Forty-three percent of Americans never unplug from personal technology, while 17 percent only do so a few times a year, according to a consumer poll by CivicScience. Sixty-seven percent of those who claim to be addicted to technology reported that they never take a break from their devices. Texting and emailing in work meetings, in class or in the company of others is so prevalent that it’s become a social norm. Twenty percent of respondents said they managed to unplug daily, while 10 percent were able to do so a few times a week. Unplugging correlates with levels of happiness, travel, exercise and a good night’s sleep. There were no gender differences. Those who unplug a few times a week are more likely to have a household income between $50K-$75K per year. 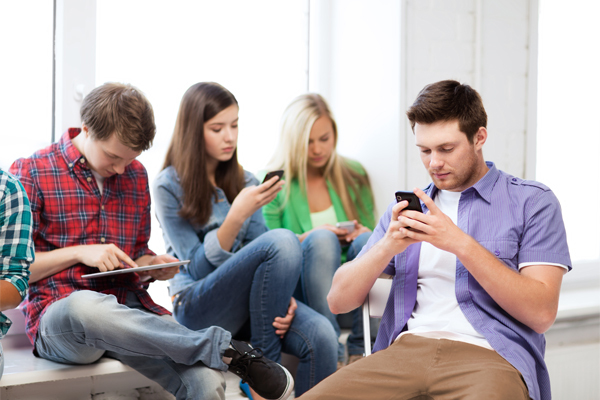 Those under the age of 18 are just about as likely as those over 55-years-old to unplug daily. Asian or Pacific Islanders are least likely to unplug; Aleut Eskimos are the largest group to do so daily. Those in service roles (firefighters, waitstaff, child care) and those in sales roles are most likely to say they never unplug (55 percent and 49 percent, respectively). Smartphone owners are 34 percent more likely than non-smartphone owners to say they never unplug. Unhappy people are more likely to say they never unplug. Those who are most interested in movies and TV are more likely to say they never unplug vs. those passionate about fashion, sports and music. Those passionate about travel are most likely to say they do so daily. People who unplug once a week are more likely to exercise. Those who unplug daily are least likely to have trouble falling asleep at night. The importance of unplugging has gained more attention in recent years, and has even spawned a National Day of Unplugging, where participants refrain from their devices for 24 hours. There are also new tools like meditation apps to help people cope with their always-connected lifestyles.